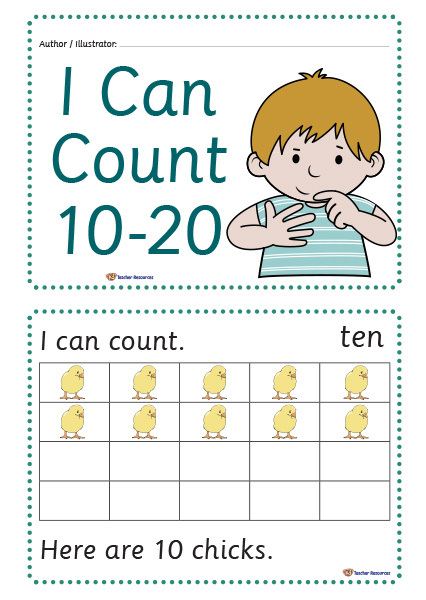 Counting Activities – counting 10-20. A great opportunity for children to create their own little books – become authors and illustrators. Make a class large size book with each child adding 1 page, or use for each child to create their own individual book – see more of how to use here. Enlarge, or reduce the size of the book as needed….or keep as A4 pages. Download options include colour and black and white.